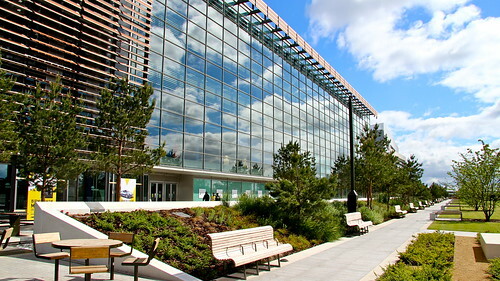 We’ve previously spoken about BCU’s new Parkside Building, which will be connected to Millennium Point by a bridge link. Although not yet finished, members of the public were invited to look around at the Parkside Building at the BCU Open Day on Saturday 15th June. Once open in September 2013, the Parkside Building will become a state-of-the art home for the University’s Birmingham Institute of Art and Design (BIAD) and School of Media. What are your thoughts on the new building? Join the conversation on Twitter (#BCUParkside).